Hyde Park Produce has everything you need for a stress-free (and delicious!) Thanksgiving holiday. With the recent closure of Treasure Island Foods, Hyde Park Produce owner Larry Damico knows that shopping for Thanksgiving ingredients may be more challenging for Hyde Park residents this year, and he has created two convenient packages with that in mind. 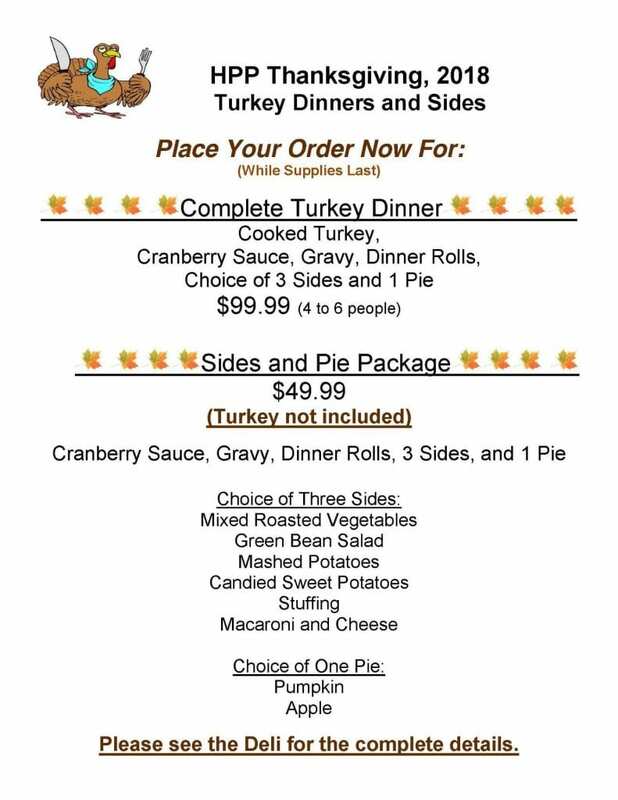 Customers can place orders for a complete turkey dinner to serve 4-6 people with cooked turkey, cranberry sauce, gravy, dinner rolls, choice of three side dishes, and one pie – all for $99.99. For those who want to cook their own turkey, Hyde Park Produce has a sides and pie package for $49.99 with cranberry sauce, gravy, dinner rolls, three side dishes, and one pie. Side dish options include mixed roasted vegetables, green bean salad, mashed potatoes, candied sweet potatoes, stuffing, and macaroni and cheese. Pie flavors include pumpkin and apple. 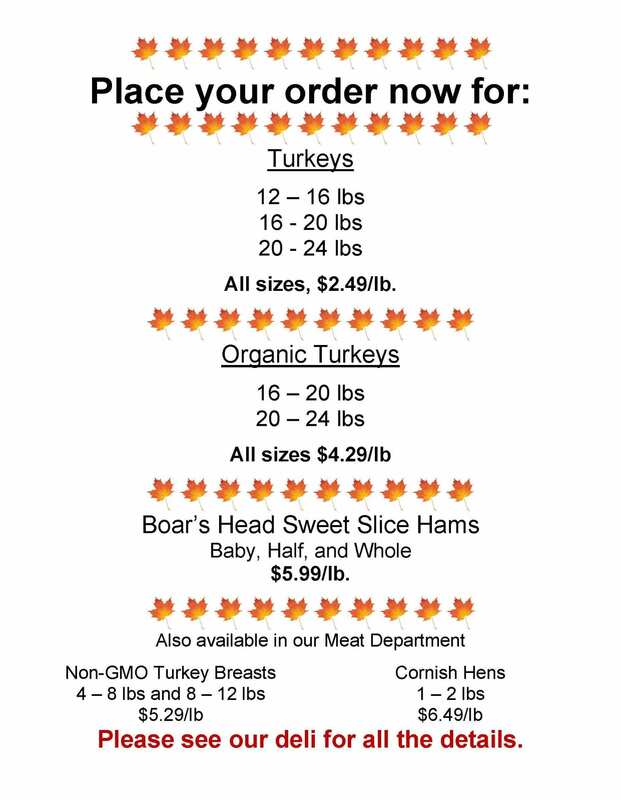 Hyde Park Produce offers regular and organic turkeys to order, as well as Boar’s Head hams. Non-GMO turkey breasts and Cornish hens are also available. All orders must be placed in advance through the deli – customers can call 773-324-7100 or stop by the store. Not many people may know that Hyde Park Produce is run by three generations of Larrys in the Damico family – Larry and his father, Lawrence Sr.; and most recently Larry III, also known as “Little Larry.” Lawrence Sr. had been in the produce business since the 1940s, and Larry started to work with his father as a teenager. The Kimbark Plaza store location opened in January 2008. Happy Thanksgiving from the entire Damico family!